If you or a loved one have been injured in a motor vehicle, workplace, maritime, premises liability, or medical accident, the person to call is Bart Bernard. With more than two decades of experience obtaining multi-million-dollar awards for his clients, Kenner attorney Bart Bernard is among the top 1% of lawyers. Times of Acadiana readers voted him the “Best Lawyer” and his team the “Best Law Firm.” Bart Bernard aggressively pursues full compensation, which may include damages for medical bills, lost income, emotional pain and hardship, loss of consortium, loss of support, disability-related home modifications, wrongful death, and funeral expenses. Bart Bernard is happy to run a law office out of the City of Kenner. Home to more than 67,000 people, Kenner represents the largest incorporated city in Jefferson Parish. The area is known for recreation along the shores of Lake Pontchartrain, with year-round events, outdoor parks, and historic Rivertown. Visitors flock to the Mardi Gras Museum, Cannes Brulee Native American Village, the Esplanade Mall, Louis J. Roussel Jr. Planetarium, the Children’s Castle, and LaSalle’s Landing. While visiting the law office of Bart Bernard, you’ll find many pleasant ways to spend the afternoon. Since 2000, the Hispanic population in Kenner has more than doubled. Today, a quarter of Kenner residents speak Spanish. 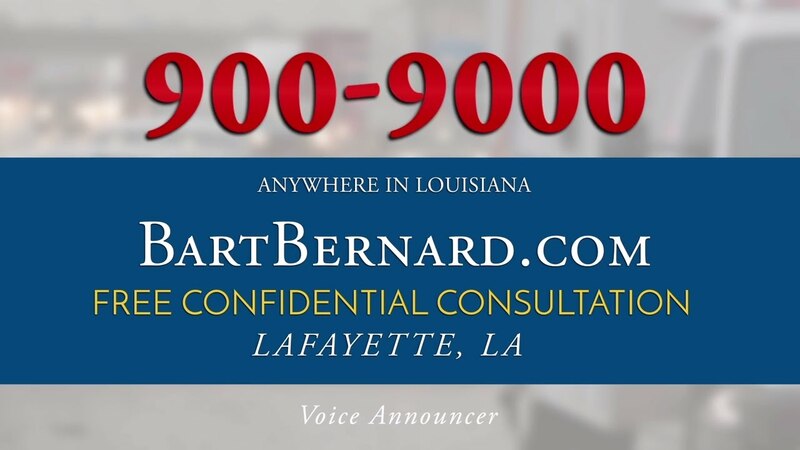 Bart Bernard understands the importance of relaying information regarding legal rights as clearly as possible in your native language, which is why he offers bilingual legal services out of his Kenner law office. Visit our Kenner Law Office on Williams Blvd. Bart Bernard’s Kenner Law Office is located at 1107 Williams Boulevard in the 70062 postal code. Look for the small, white structure next door to Progressive Insurance. You can find the office south of Veteran’s Park and north of the restaurants along Airline Drive, five blocks east of the Louis Armstrong New Orleans International Airport. Call any time 24 hours a day, 7 days a week or email the office for a free case evaluation. No fees or charges are required unless a successful verdict or jury award is reached. Bart Bernard is here to lend a compassionate ear and help you cope with the aftermath of serious injury.